Using the Google analytics module you can track create, read, update, and delete requests as events against your backend automatically. The tracking ID / property ID from your Google analytics account. 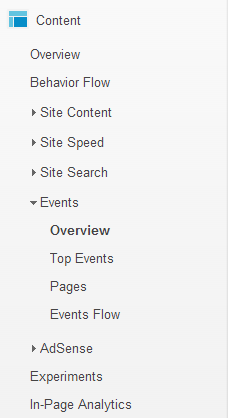 You find it in the Google analytics administration tab, beginning with UA-…. Simply add the module to your app. The data will be visible about one day later (the usual delay of Google Analytics) in your Google Analytics account in the Content->Events tab in the left menu. Your events are sorted in to three classes: category, action and label. Event categories will be tracked, if an object of a class is created. 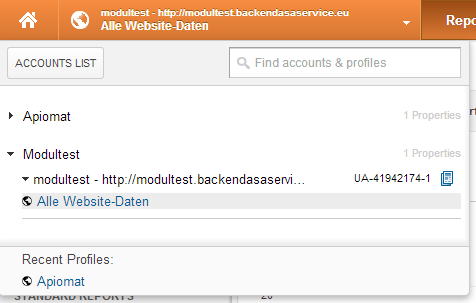 Actions are tracked modifications in your datamodel, e.g. “Create new datamodel”.